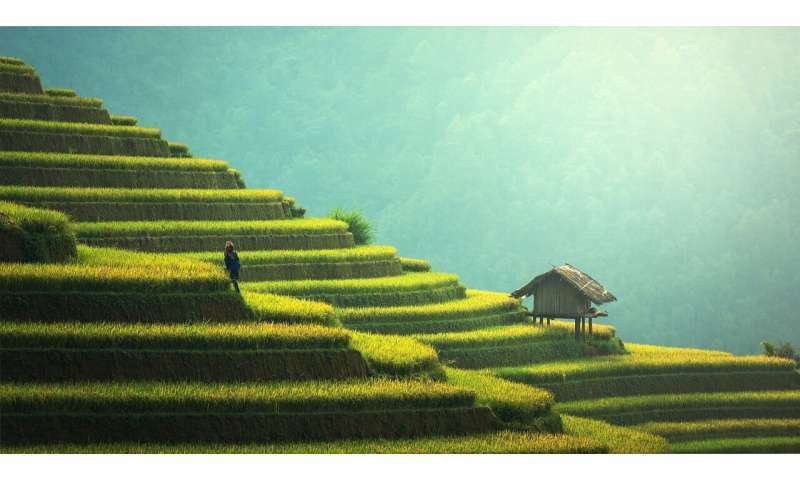 In the Nature Communications study, the scientists, working in NYU's Center for Genomics and Systems Biology, addressed this matter by exposing rice seedlings to an experimental matrix varying nitrogen and water conditions, which could parse out the different effects water and nitrogen—a key plant nutrient—have on rice growth. Through computational analysis of the responses of the more than 50,000 genes found in the rice genome, the team found that while some plant genes were controlled in response to either the amounts of nitrogen or water individually, others were specifically responsive to their combination. "These genes may assist in developing crops that require not only fewer nutrients to grow, but less water, too," observes Gloria Coruzzi, a professor in NYU's Center for Genomics and Systems Biology and the paper's senior author. "This could potentially lead to allowing many marginal soils around the world—those that are too dry or nutrient poor for crop production—to be more agriculturally viable. Moreover, it is especially crucial to develop crops that produce grain yield in the face of global warming and climate change."